Microsoft recently reported strong figures for its fiscal year ending June 2017. Global technology giant Microsoft recently reported strong figures for its fiscal year ending June 2017, with net profit for the period surging by 26 per cent to $21.2bn. Revenues during the year also grew around 5.4 per cent to $89.9bn. Microsoft CEO Satya Nadella attributed the positive results to “innovation across its cloud platforms”, and also confirmed that the company remains on track to reach the goal of earning $20bn in commercial cloud revenue in the fiscal year 2018. Microsoft has been buoyed heavily by its cloud-first strategy worldwide, and even in the GCC region the company is now focussed on growing its cloud business in a bid to meet the rising regional appetite for new technologies and smart solutions. And it has already started seeing success in the region, asserts the regional general manager of Microsoft Gulf, Sayed Hashish. Hashish, who took over the job just over two months ago, is currently transitioning into his new role, having previously served as the general manager for the public sector in Middle East and Africa. A veteran Microsoft employee – he has been with the company since 1998 – the new GM says the GCC countries’ drive towards embracing new technologies and innovation is being led by the public sector to a large extent – unlike many countries internationally. One of his main focus areas is figuring out how Microsoft can improve competitiveness through digital transformation in government and commercial sectors. “The cloud will be the platform to achieve that,” he says. “The possibilities and opportunities that the cloud creates have made many things a reality – even things considered science fiction. Things are now achievable and at costs that are not out of this world,” he adds. The GCC’s Internet of Things (IoT) solutions market is set to grow exponentially, reaching $11bn by 2025, a recent report by AT Kearney found. 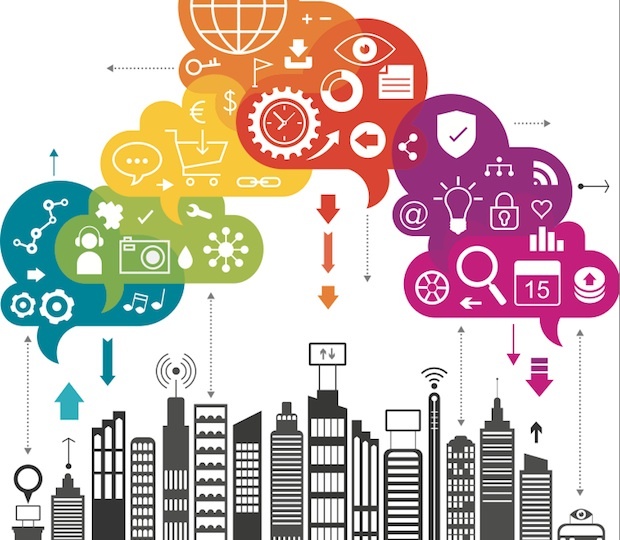 This will generate a potential value of nearly $160bn for the economy, implying that every dollar spent on IoT solutions could produce nearly $14.50 in economic value, the firm said. Such an optimistic outlook has naturally attracted a wide range of technology companies – ranging from local and regional to international – which are all vying for the massive market opportunities in the region. “Competition makes us better and gets us on our toes. We try to compete vigorously for winning the customer trust and meeting their expectations,” says Hashish. “We try to differentiate ourselves through our business model, as part of which we work through partners. We create an ecosystem around us of local companies and SMEs,” he explains. Microsoft claims to have the “largest global partner ecosystem in the high-tech industry”, in which it invests over $5bn annually. In the GCC, Microsoft’s partner network stands at 1,170. “But we also understand that we will not have the entire market, with companies also using competitive platforms,” adds Hashish. Also, despite the rapid influx of competitors, Hashish believes the market is not yet close to reaching saturation. “I think we are only scratching the surface when it comes to the potential that we have in our markets. So my perspective is that there will be room for everybody,” he says. While Hashish emphasises that competition is a “good challenge to have”, he does admit there are other issues that are harder to face. “We are part of the countries we operate in, so when you have economic challenges, they do impact our business and our customers’ businesses. Currently, across the world, there is a lot of uncertainty economically. And in this region, with low oil prices, it puts pressure on everyone,” he states. “Also, when you have geo-political situations that you have to deal with in the region, that puts further strain. “Economic challenges, geo-political challenges – those are the two big things that worry us and those are areas that we have to wait and watch to see how they progress – they are not issues that we can control much,” he adds. In light of the regional economic situation and controls in government spending, there have also been fears about whether investments in new technologies will be affected. Hashish insists that it’s the nature of investment that has changed. “There’s definitely much more scrutiny when it comes to investment now than there was three years back. You have to really show what the return is,” he explains. “And even the purchasing cycle has changed. You see longer cycles and you have more checks in each cycle – you see finance departments playing a bigger role, you see multiple approval committees, and so on. That’s the nature of the world we are in. “But this doesn’t mean that there is no investment. It just means that the priorities are shifting and the responsibility to show strong value and return on every investment is much higher. And that’s something we understand. We have seen this before in slowdowns and it is the right thing to do, but of course it does put on pressure,” he elaborates. 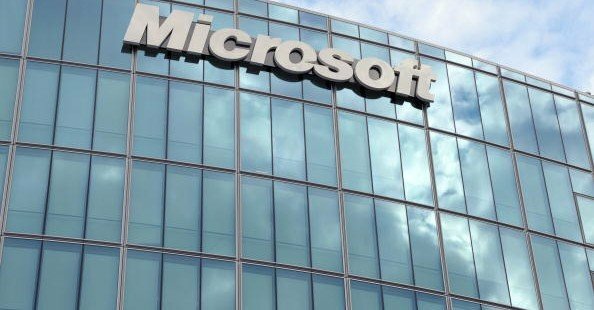 In line with changing needs in the market, Microsoft recently announced global plans to reorganise its teams to focus on six industries – government, healthcare, education, manufacturing (which includes oil and gas), retail and aviation, and financial services. “This is the first time that you are seeing Microsoft get much deeper into industry expertise and this is how we can deliver on our promise of digital transformation,” says Hashish. Globally, it was reported in July that the company was laying off “thousands” of staff in sales divisions around the world to focus more on its cloud services. Microsoft confirmed the news, but did not disclose any numbers. However, in the GCC region, the company is “always hiring” and on the lookout for “great new talents”, says Hashish. “We are always hiring in the areas where we believe the future is and this market is moving towards more opportunities,” he states. While he does not reveal the exact size of the regional workforce, he says that the number of people in Microsoft working in the GCC stands in the “high hundreds”, and with partners, the team size is in the “high thousands”. The Dubai hub also has employees from Microsoft who work for other parts of the Middle East and Africa region, he adds. From the visit of CEO Nadella to Dubai in 2016, to multiple trips by several of the company’s senior executives, the GCC region will continue to be an area of focus and interest for the company, according to Hashish. “It is an area that we will continue to closely monitor and see how we can increase our investments and our footprint,” he concludes.